You might need to send it again Jamo. High km, 2008 STi example here for 20K.. thoughts? 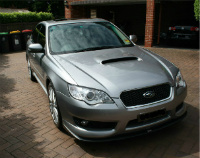 Jamo wrote: High km, 2008 STi example here for 20K.. thoughts? Thats been on there for months and months and months. At that price, the KM can be well ignored, so makes you wonder why its been for sale for soooo long. Im going to hazard a guess that its a repaired write-off, but i wont jump to conclusions without fact. The ad however does say "has never been in an accident", so who knows. $20k is well below dealer trade in price, so if he was really looking to sell, he could flip it off to any dealer for an easy $25k. And this one, although listed as an 07, looks like an 06 to me..
And this 06 (with high km's) is down to 15K..
market rapidly seems to be falling..
Last edited by Jamo on Wed Apr 10, 2013 10:14 pm, edited 2 times in total. Jamo wrote: And this one, although listed as an 07, looks like an 06 to me.. Both are pre-facelift, ie MY06. Also, the tbSTi serial number plate is at the gear lever, mine is only on the engine cover. EDIT: High KM shouldn't put you off, just make sure the service is done regularly and properly. Does anyone have experience with well services, high kilometre vehicles? 180K Km's and above scare me to be honest..
Jamo wrote: Does anyone have experience with well services, high kilometre vehicles? It really depends on the previous owner. But high KM isn't necessary a bad thing. Had this for more than 11 years, only had to get rid of it because 3 cars don't really fit in a one car bay allocated apartment complex. Still ran well without missing a beat. Found an 07 B spec, standard with 110,000 km's for 20k negotiable here in Perth.. worth a look I'd reckon? Sounds good. See if the 125k km service has been done. Its the major service. If it has not, try negotiate that off the price, as its around $1000-$1500. This one has gone cheaper again. I would get this one and start saving for an engine rebuild with forged internals. I think I first saw this Lib on car sales over a year ago for about 24k. I can't believe its still for sale. noone buying at the moment - everyone valuing cash above all else. Well that was a long time between drinks! 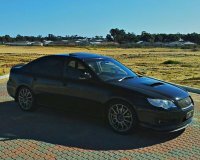 Ended up buying an 09 GT B Spec Wagon..
cleaning it up, driving it for a year - then saw an 08 STi Wagon with low km's and manual here in Perth - which I bought..
Now I'm selling the 09 B Spec Wagon.. a 5 year chase finally got me an STi wagon! !